We are honored to have so many physicians and partners dedicated to patient-centered service. 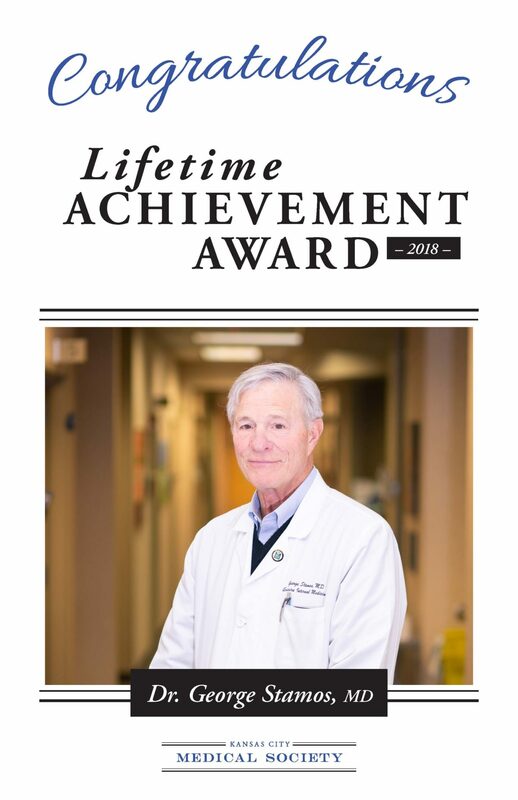 The Kansas City Medical Society presents awards for leadership, lifelong commitment to health and dedication to the health of the greater Kansas City community. Dr. George Stamos is a founding partner of Quivira Internal Medicine and former Chief Medical Officer at Overland Park Regional Medical Center. He has dedicated time and talent to the health and welfare of residents of Kansas City. 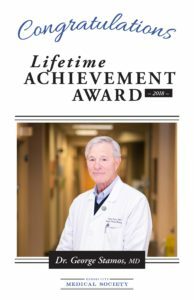 He was awarded the Lifetime Achievement Award at the Kansas City Medical Society Annual Meeting. To learn more about Dr. Stamos, please view his award video!